Washington, D.C., June 23, 2014 – Six community-based education organizations across the U.S. have been selected to participate in a new $25 million effort launched by Next Generation Learning Challenges (NGLC), intended to establish regional hubs of K-12 innovation. The Regional Funds for Breakthrough Schools—a first-of-its-kind national initiative that supports “breakthrough” schools to accelerate student progress—will grant funding to local educators whose approaches incorporate leading principles of personalized, blended, and competency-based learning. NGLC defines breakthrough schools as those charged with generating rigorous outcomes for all students: at least 1.5 years of growth annually in math and English/language arts—an ambitious but necessary goal for students who are behind in specific subject areas or grade levels—a 90 percent high school graduation rate, and at least 80 percent of students meeting college readiness benchmarks and enrolling in college. All six partner organizations were selected through competitive, national application processes by NGLC and the initiative’s funders: the Bill & Melinda Gates Foundation, The Eli and Edythe Broad Foundation, and the Michael & Susan Dell Foundation. Funding models vary across the sites, but each regional partner will be investing between $1.8M and $3M in local design teams to generate new or conversion schools, with a mix of national and in some regions, locally-raised funding. Some partners are working closely with single, big city school districts; others are working with multiple districts and larger regions. Each partner is aiming to enable design teams of innovative educators to open at least three (and in some cases many more) new or redesigned breakthrough model schools by fall of 2016. New Schools for New Orleans; in partnership with the Louisiana Recovery School District and the Orleans Parish School Board, Educate Now!, and 4.0 Schools. Rogers Family Foundation, Oakland, Calif. Leaders from each site will work with NGLC and its national network of 80 breakthrough model schools (funded with $23 million in grants awarded since 2012). 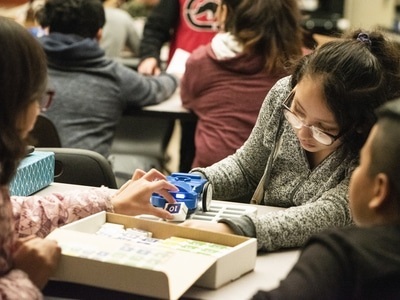 A breakthrough school combines student-centered, personalized, blended, and competency-based learning approaches with high expectations for student achievement, all sustainable on public funding. In personalized learning settings, learning experiences are designed by teachers and students to address individual skills, gaps, interests and aspirations. Competency-based learning enables students to move at their own optimal pace and receive credit by demonstrating mastery of clearly defined expectations before moving on. Blended learning integrates teacher-led, in-person instruction with online learning and the use of technology-enabled tools in group-oriented and individual work. All of these strategies are at least partly managed by the student, and enabled by the seamless integration of technology. The Regional Funds partner organizations were selected based on several criteria, including: clear leadership consensus supporting their vision of next generation learning; a high-capacity local organization to direct the work; a supportive policy environment to enable fundamental redesign of learning models and school structures and practices; and innovative, pioneering educators ready to lead this groundbreaking work. 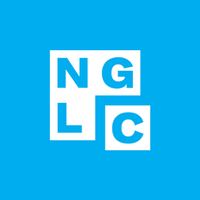 NGLC is managed by EDUCAUSE, a non-profit association working to advance higher education through the use of information technology, in conjunction with the International Association for K-12 Online Learning (iNACOL), the Council of Chief State School Officers (CCSSO), and the League for Innovation in the Community College. Additional program support for the Regional Funds partner organizations will be provided by CEE-Trust. Inspired by their passion for children and by a shared desire to improve the lives of children living in urban poverty, Michael & Susan Dell established their Austin, Texas-based foundation in 1999. 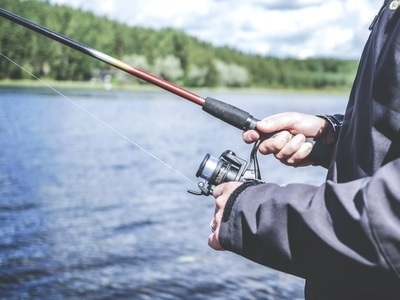 To date, the foundation has committed more than $1 billion to assist nonprofit organizations working in major urban communities in the United States, South Africa and India. The Michael & Susan Dell Foundation focuses on opportunities with the greatest potential to directly and measurably transform the lifelong outcomes of impoverished urban children around the globe. For more information, please visit www.msdf.org. Guided by the belief that every life has equal value, the Bill & Melinda Gates Foundation works to help all people lead healthy, productive lives. In developing countries, it focuses on improving people’s health and giving them the chance to lift themselves out of hunger and extreme poverty. In the United States, it seeks to ensure that all people — especially those with the fewest resources — have access to the opportunities they need to succeed in school and life. EDUCAUSE is a nonprofit association whose mission is to advance higher education through the use of information technology. EDUCAUSE helps those who lead, manage, and use information technology to shape strategic IT decisions. Over 2,400 colleges, universities, and other organizations in more than 40 countries are members. An estimated 60,000 individuals are active in EDUCAUSE. For more information, visit www.educause.edu. 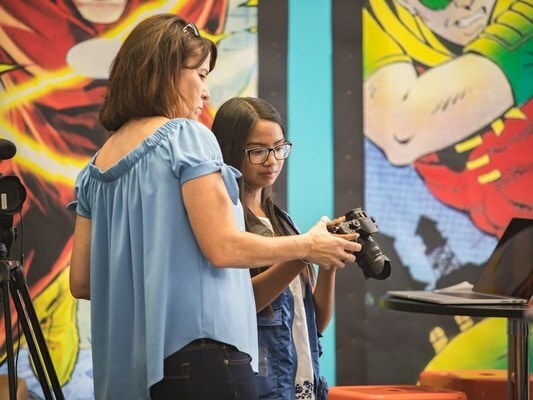 Next Generation Learning Challenges (NGLC) accelerates educational innovation through applied technology to dramatically improve college readiness and completion in the United States. This multi-year program provides investment capital to expand the use of proven and emerging learning technologies, collects and shares evidence of what works, and fosters innovation and adoption of solutions which will dramatically improve the quality of learning in the United States, particularly for low-income students and students of color. NGLC is managed by EDUCAUSE in partnership with the League for Innovation in the Community College, the Council of Chief State School Officers, and the International Association for K-12 Online Learning. 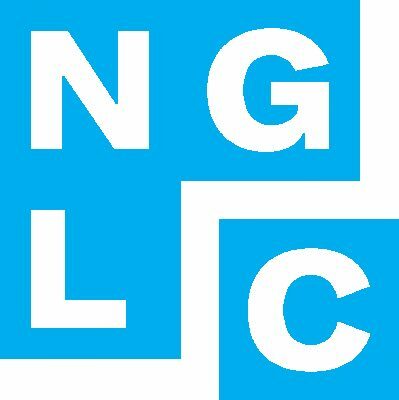 Funding for NGLC has primarily been provided by the Bill & Melinda Gates Foundation. A dedicated team moving the mission of NGLC forward, helping to bring next gen learning to today’s students.